When working with Angular Universal we can implement a full-fledged server. Of course, this does not only include for example to display a 404 page for incorrect urls but also setting the correct status code. So that for example search engines and crawlers in general can process the result correctly. Angular itself allows us to easily create a 404 page via the router package. However, this is to be regarded as a soft 404. Because although a page is output, the HTTP status code is still 200. In the first step we start with the trivial issue of displaying the Not-Found-Component. Afterwards we dedicate ourselves to setting the correct status code on the response object that we consume via Express. The example code assumes that you are using lazy load but you can change that. Create a new module for our Not-Found-Component. Now only the module remains to be integrated into the routing by editing our app.routes.ts file. Add the following two entries to the end of your routes array. Watch out: redirectTo has to be last! So far so good. We now have a working 404 component that will be displayed when an invalid URL is accessed. The end users experience is covered. So lets set the correct status code. This tutorial assumes that you have followed the official Angular Universal Guide but should work for all setups using express. In our express server we have access to the request and response objects. Those are needed in the 404 component in order to set the status code each time the component is loaded. In order to do so we use the dependency injection provided by Angular. If you are not using @nguniversal/express-engine then simply use strings as injection tokens. When your application is now running on the server you have access to the request and response obejcts. If the application is running in the browser they are empty. Now we can extend our Not-Found-Component in order to set the correct status code. Thats it. 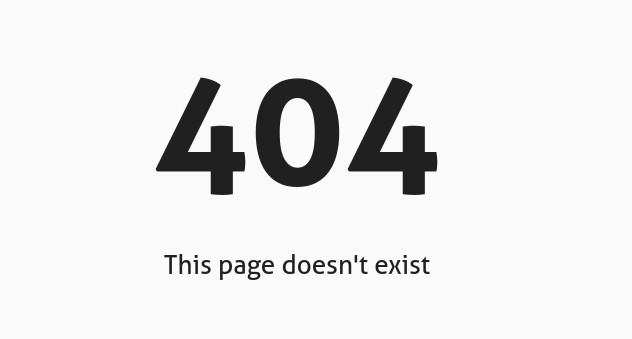 A hard page reload that leads to your Not-Found-Component will now result in the correct 404 error code. Feel free to leave a comment on how you liked the approach and if it worked for you! Works like a charm..awesome ! Thanks a ton. I have been trying to solve this for a while now. Finally found this. Thanks for your feedback! With the most recent version of Angular & CLI it is working for me. Instead of using the response as inejction token you can always create a string, then don’t forget to export it. I’m also receiving “Critical dependency: the request of a dependency is an expression”. Can you please provide an example of creating a string and exporting this? Also tried updating my CLI and Angular and still got the error. NullInjectorError: No provider for InjectionToken MODULE_MAP! your error isn’t really connected to the code from this blog post. Did you maybe replace the provider recipe for MODULE_MAP? Thanks a lot! Excellent explanation! Does this same code work for angular 6? If ‘No’, then what all do I need to change? If ‘Yes’ then mine is not working(Followed this procedure twice)! I also have a problenm with angular 6. 404 not working.